This book is a concise, accessible problem-based approach to the subject using case scenarios to facilitate students taking their pre-clinical or basic sciences examinations. Using a family of characters in each case scenario, the text reflects the current changes in medical and biomedical science teaching that is increasingly moving towards a more integrated approach through-problem-based learning. The characters, all members of an extended family, appear in several scenarios and the student becomes familiar with their personalities and their disease processes. Each scenario covers the relevant anatomy, physiology, pathology, pharmacology, microbiology, immunology and biochemistry and enables the reader to grasp the key concepts of basic medical sciences in an integrated fashion. 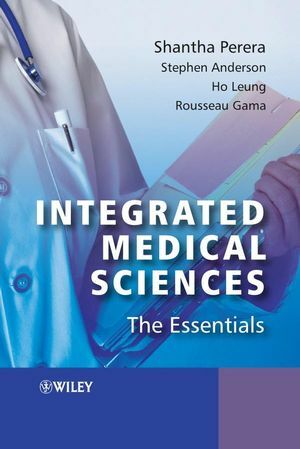 Integrated Medical Sciences: The Essentials is an essential text for first and second year undergraduates taking medical or biomedical sciences (during the pre-clinical phase for medical students.). The book is also an invaluable resource for nursing degree students and allied health students taking courses in dentistry, physiotherapy and pharmacy. In addition, the book is ideal for US and international medical students preparing for the USMLE Step 1 examination. Chapter 1 The respiratory system. Chapter 3 The gastrointestinal system. Chapter 4 The urinary system. Max is fighting, and losing…again! Chapter 5 The endocrine system. Chapter 6 The musculoskeletal system. John’s done his back in! The boy in the wheelchair. Brittle bone boy with blue eyes…. Debbie’s and Max visit the fertility clinic. Chapter 9 Genetics, oncology and haematology. Chapter 10 Infection and immunity. Debbie goes to the doctors; she is pregnant again!! Max is lost to follow up…. Debbie has a new partner…and a new problem.